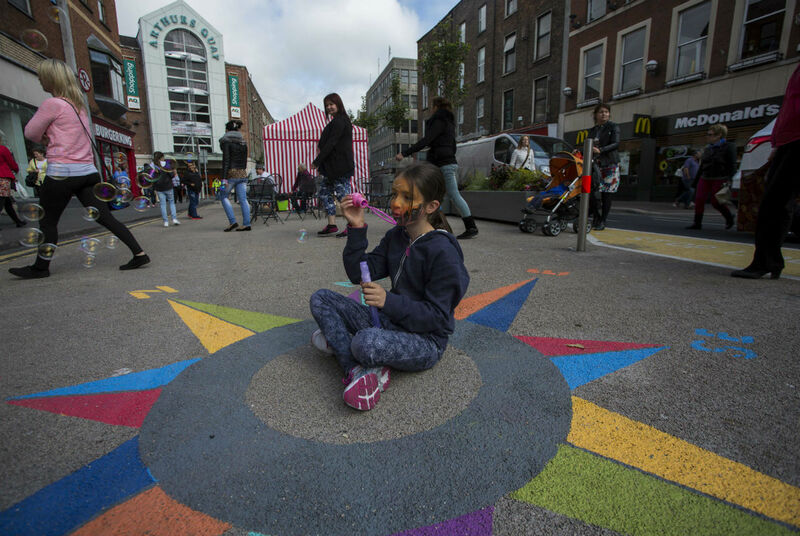 Free public Wi-Fi, street furniture and an array of colourful art pieces have been introduced to one of Limerick City’s busiest shopping thoroughfares as part of an initiative aimed at improving and animating Limerick’s retail core and driving footfall in the city centre. 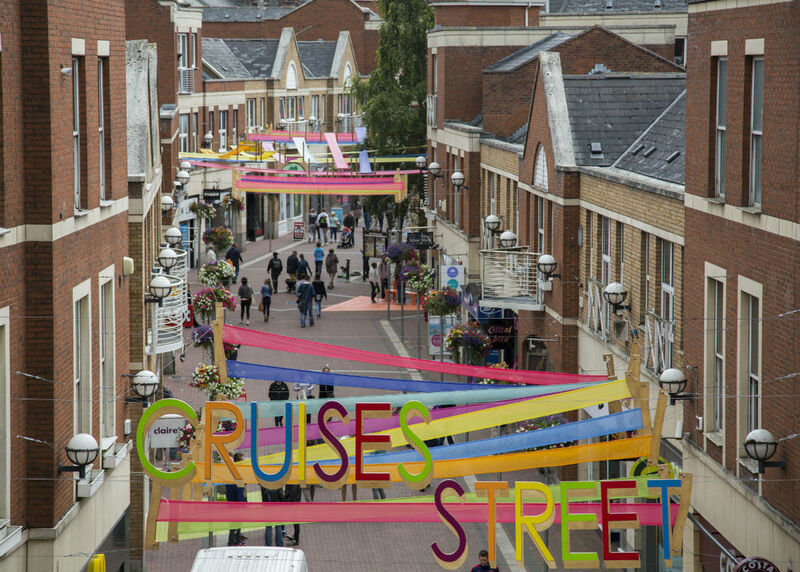 Limerick City and County Council’s pilot Urban Garden Project, which was initiated during the summer with the development of an urban garden in O’Connell Street, has now been extended to neighbouring Cruises Street. 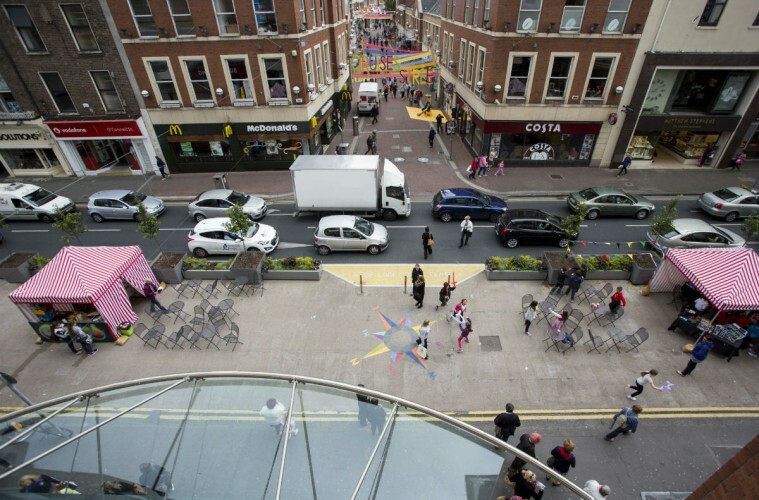 The Local Authority says plans are also afoot for new ‘parklets’ outside Aroi on O’Connell Street, permanent seating, demonstration kiosks for Limerick City Centre businesses and a structured children’s play area outside Penneys. 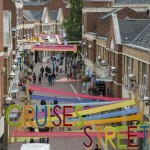 It is also planned to use the lane ways off Cruises Street to create an open-air art gallery. The pilot Urban Garden Project was last week shortlisted in the ‘Enhancing the Urban Environment’ category of the 2015 Chambers Ireland Excellence in Local Government Awards. 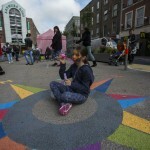 The project is one of five Limerick City and County Council initiatives shortlisted in the annual award scheme. Next ArticleWe’ve been Shortlisted for the Blog Awards – Please take a second to Vote for us Now!